Partnering with native missionaries to reach the remaining unreached…‘til all hear. Assemblies of God World Missions (AGWM)is engaged in missionary endeavor in many lands in pursuit of the original, audacious commitment of the Assemblies of God to unprecedented world evangelism. That commitment, the mission of AGWM, stands on four biblical pillars. We are proclaiming the message of Jesus Christ to the spiritually lost in all the world through every available means.We are establishing churches in more than 200 countries,following the New Testament pattern. We are training leaders throughout the world to proclaim the message of Jesus Christ to their own people and to other nations. We are touching poor and suffering people with the compassion of Jesus Christ and inviting them to become His followers. Christ For the City International has been shaped by the Biblical mandate to reach the world with the gospel of Jesus Christ. Since 1995, CFCI has been an innovative leader in modern mission circles and has become a respected urban ministry and mission agency. We have more than 350 mission workers in 17 countries serving through 70 different ministries! Christian Aid is generally considered to be the first missionary agency to support and promote indigenous mission groups. It has been the catalyst behind the present reformation in foreign missions methodology. The Church of God of Prophecy is a vibrant, worldwide body of believers, united in worship, working hand-in-hand to share God’s love and a message of hope to the broken-hearted. The Church of God of Prophecy has over one-and-a-half million members, worshipping in over 10,000 churches our missions in 132 nations of the world. Nearly 90% of our global membership is outside of North America. The Dale Kieztman University will build an administrative infrastructure through partnerships with academic content providers to serve Global South leaders in effectively addressing roots of human problems in their contexts. 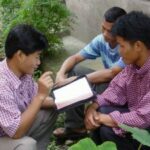 Faith Comes By Hearing records and use Audio Bibles to reach the world’s poor and illiterate people. Did you know 50 percent of the world’s population can’t read? New Directions International is an evangelical missions organization that connects followers of Christ with strategic leaders overseas to help fulfill the Great Commission. Partners International is a global ministry that works to create and grow communities of Christian witness in partnership with God’s people in the least Christian regions of the world. WorldVenture is people. A network of partners working together with a shared vision to see people of all nations transformed by Jesus Christ. WorldVenture is you. Without your involvement through prayer and giving and service little could be accomplished. WorldVenture is a community of more than 500 missionaries working in more than 65 countries around the globe. WorldVenture is a committed staff, working from our Headquarters Office in Colorado and Church Connections Regional Offices across the United States to facilitate the work of missions and to assist churches with their worldwide vision. 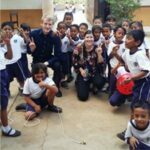 The WorldVenture community also shares in a 65-year heritage of mission-minded Christians who have given of themselves to see the work of Christ advance around the world. The organization has a history in the Baptist tradition; today our staff and missionaries come from many evangelical Christian backgrounds. Youth for Christ is a worldwide Christian movement working with young people around the globe. Motivated by our faith in Jesus Christ we share the good news of God with young people.